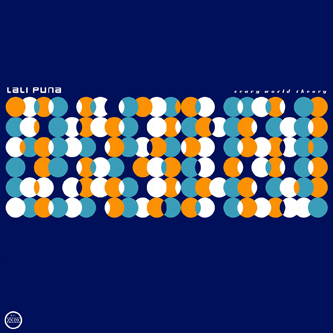 The story of Lali Puna is inextricably linked to that of the Morr Music label itself. The band’s classic Tridecoder album was the second ever release on the imprint back in 1999 and set a new template for electronic rock music that’s remained in place ever since. In parallel, Morr and Lali Puna have evolved from humble, experimental beginnings before eventually coming to represent the vanguard of modern pop. Fronted by singer and keyboard player Valerie Trebeljahr, Lali Puna‘s line-up is completed by drummer Christoph Brandner, keyboard player Christian Heiß and Markus Acher. Behind ostensibly shy, almost withdrawn vocals Valerie is by no means coy about confronting the world’s ambivalent status quo, bluntly documenting current conditions underneath putative fragility. And the music, too, demands our full attention. Between hummable chords and sometimes soothing, almost hypnotic monotony, each repetition discloses multi-layered complexity as well as cleverly hidden counterpoints. Scary World Theory is a confidently melancholic album quite happy with itself. And willing to spread that happiness.